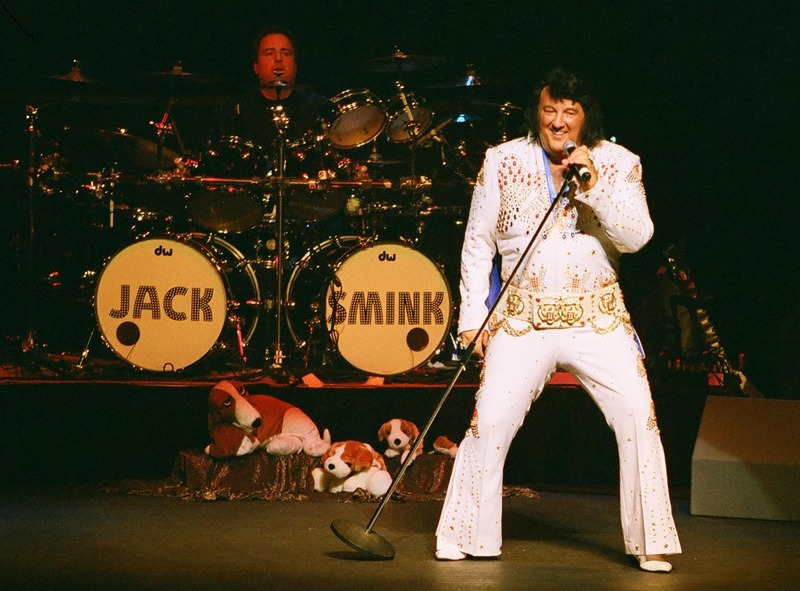 Lightning Strikes Twice Productions presents Jack Smink performing his Tribute to Elvis Show. Based on Jack's song, Just One More Time, Jack and the LST Band and Vocalists will perform for you after a delicious dinner with your choice of beef or chicken as the entree. Just One More Time - with background vocals by the Legendary Jordanaires, a single song CD, will be available for purchase at the show for $3.00. Jack wrote this song for all Elvis fans who would love to hear Elvis do one more concert, one more appearance, Just One More Time. As of Tuesday, February 5, 2019, all ticket sales will be handled by calling/texting Lisa at 321-246-1217 or Tamra at 407-508-5611. They can help you find the best seats available for dinner and show or for just the show. You can email Karen Smink at jfelixs@aol.com. The caterer must have a count no later than Monday, March 25. We will not be able to issue refunds after that date for the dinner show. However, show only tickets will be available at the door.